Many states are using the Student Learning Objectives approach to measure student growth because they work! Learn how to use Student Learning Objectives (SLOs) to create meaningful student growth models for your students. Participants will learn about the state’s definition of Student Learning Objectives (SLOs) and how they can be used effectively in measuring student growth. Whether you are a music teacher or a music supervisor, this inservice workshop is important for you. 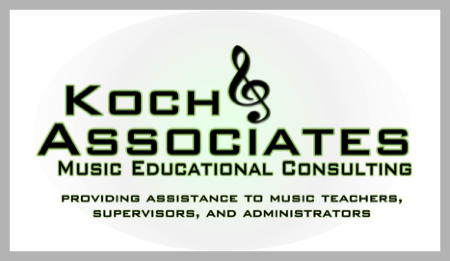 In an attempt to provide music teachers with proper teacher evaluation and the professional development that they need, the National Association for Music Education has created evaluation guidelines for teachers and supervisors based on the Danielson framework for teaching. Strategic question...Will your current music curriculum prepare your students to be college and career ready? Times are changing fast, and if you have the same curriculum that you did 3 years ago, you and your students are way behind. This curricular approach to music education holds students accountable for their individual performance, tracks student performance and provides data to measure student growth. The National Association for Music Education (NAfME), in conjunction with the National Coalition for Core Arts Standards, released the new National Core Arts Standards on June 4, 2014.